Missed some key industry developments? Get up to speed with our recap of the most read and shared stories across Campaign, Marketing, Media Week, PRWeek and The Wall. 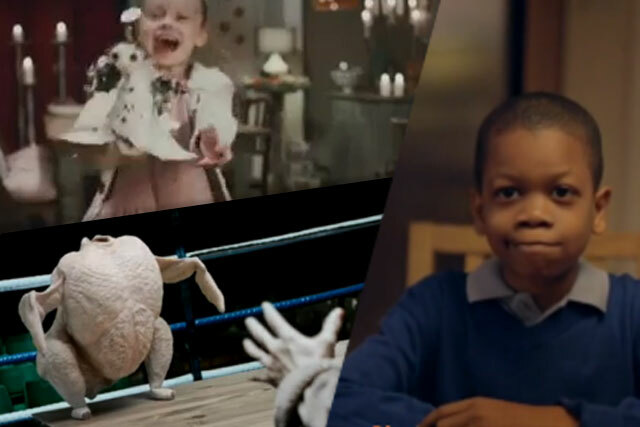 Morrisons showed that John Lewis doesn’t have a monopoly on making a splash with its Christmas ad, as its surreal and somewhat downbeat spot (Campaign, 12 November) turned everyone’s heads. There was less angst in Sainsbury’s Christmas world (Campaign, 13 November), though even its harmonious tone may not be enough to avoid the complaints which hit the likes of Morrisons and Boots (Campaign, 13 November). Is there a more challenging time to join a supermarket's social media team than the post-Christmas consumer grump? Coca-Cola’s interactive manager Jude Brooks will be trying to "open happiness" among Tesco customers in January (Marketing, 13 November). Others already looking ahead to 2013 include ITV, which will be unveiling a slinky new on-screen identity (Marketing, 16 November), Tumblr, which hopes to entice a few UK advertisers (Marketing, 13 November), and Karmarama and B&Q, who paired up this week (Campaign, 16 November). Karmarama are no doubt glad B&Q doesn’t sell bikes what with this week’s backlash against the rather "edgy" cycling safety ads and website created by a member of its staff (Campaign, 14 November). Meanwhile, that bastion of seriousness, the Coca-Cola corporate website, was transformed into an all-singing, all-dancing "dynamic, digital magazine" (Marketing, 14 November). Editing of a different sort put PR agency Finsbury in the news after it was revealed to have anonymously changed the Wikipedia entry of its billionaire oligarch client Alisher Usmanov (PRWeek, 12 November). Finally, if you’re one of Marketing’s 30 brightest young marketing stars (Marketing, 13 November) you now have something to stick on your own Wikipedia entry, should you dare.